A loan of $10,000 helped purchase a retail trailer in order to take our products directly to our customers as well as fund a website to expand online sales. I grew up moving around a lot due to my dad's job. My real “home” was always my Grandparents' farm in rural Oklahoma. Many of my summers as a kid (and even as an adult) were spent with my Grandmother and Grandad. They taught me the value of being a do-it-yourselfer and now I'd always rather make it, fix it, or break it myself than pay someone else to do it. Though I was never truly a “farm kid” I loved the idea of being a farmer and dreamed of having chickens and growing things on my own someday. My Grandad used to tell me stories about early days on the farm during the Depression when life was pretty tough. He would talk about coming up with solutions to everyday problems which were straightforward, matter-of-fact and often pretty brilliant. He was my inspiration and his name was Floyd. If Grandad was alive today he'd appreciate a store like Floyd's Farm & Home. "Do what you can with what you've got, and come to Floyd's for the rest." On my own, I've learned how to garden and dabbled in other urban homesteading projects – primarily raising chickens. Through my efforts to be more self-reliant at home, I found a lack of local resources which led to my idea of opening a small, general farm and supply store. While I have been gradually moving the business forward (and in order to retain my current job) I have marketed very little and maintained a streamlined approach. I have seen great interest and decent sales, but the lack of a home-base has hindered my ability to grow and develop for the long-run. My hometown region of central Kentucky, with Lexington at the heart, is home to over 1,500 chicken keepers, with a growing community of farmers, homesteaders and do-it-yourselfers. As an urban chicken keeper myself, I discovered there was nowhere within a 2 hour drive to purchase high quality organic chicken feed and other farm and homestead items. I started my business, Floyd's Farm and Home, out of my home and car to serve the area. Floyd's has, so far, sold chicken feed out of the trunk, raised young chickens in the backyard, built chicken coops, and sold a small selection of other goods – gardening tools, books, seeds, etc. – out of a booth set up at trade shows, and fairs. Market research has shown a great demand and desire for such a store over the past few years, and Floyd's is positioned in a market ripe for success. There are three similar businesses within 5 hours of Lexington that are thriving; in places like Asheville, Indianapolis, and Columbus, Ohio. To serve this growing market demand, I'm launching Floyd's next step by purchasing a mobile retail trailer that I will locate in a highly visible, grassy lot 3 days a week with regular hours. With the flexibility of a mobile unit, I can continue to take it on the road when necessary. I will continue to offer feed delivery and will eventually include other chicken-keeping necessities like bedding and straw, and expand to other animal feeds. Having regular hours in a predictable place will greatly improve Floyd's ability to continue to serve customers. 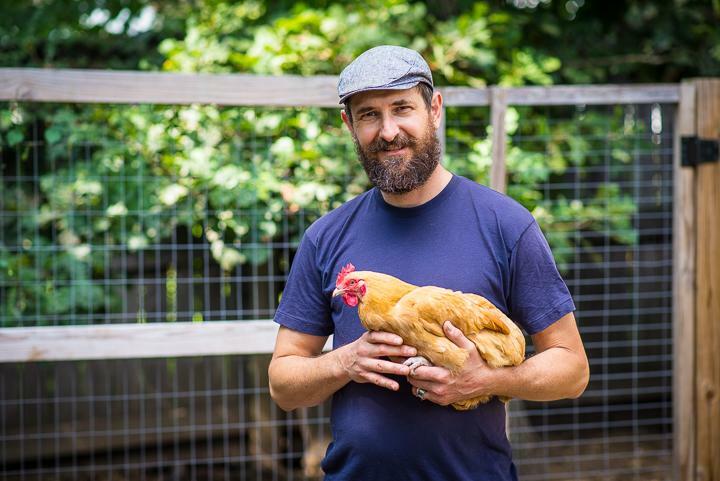 As an urban chicken farmer who grew up inspired by my Granddad Floyd's farming vision, honesty, and hard work, I have the upbringing, know how, community relationships, and passion for farming and homesteading, to help fill this demand. The loan will be used to do two primary things; purchase and outfit a retail trailer, and design and launch a more robust website. While fairs, festivals and trade shows will be made much easier by having a mobile store to pull up in, I'm also interested in creating a more predictable place for Floyd's to be, where people can gather, learn, and purchase the necessities for everyday living. I plan to rent an empty lot in the neighborhood to set up shop when I'm not on the road. This would allow me to build a demonstration chicken coop and organic garden on site, have more regular and predictable open hours, and have an indoor/outdoor classroom. An updated website will be important to not only make sure folks know where I am, but will also increase the potential for online sales and be useful as a teaching platform. Why are you endorsing Travis? As a founder of Accelerating Appalachia, a nature-based business accelerator, I've worked directly with Travis on his business model. He has a solid business plan, he's filling an unmet demand in our region (organic regionally sourced chicken feed is otherwise unavailable within a 3 hour radius of Travis's home). He runs the local urban chicken group and has great standing in community! He's also providing a few other hard to get homesteading products that are in high demand. His story and vision are beautiful and undergirded by solid planning! Proud to endorse Travis!